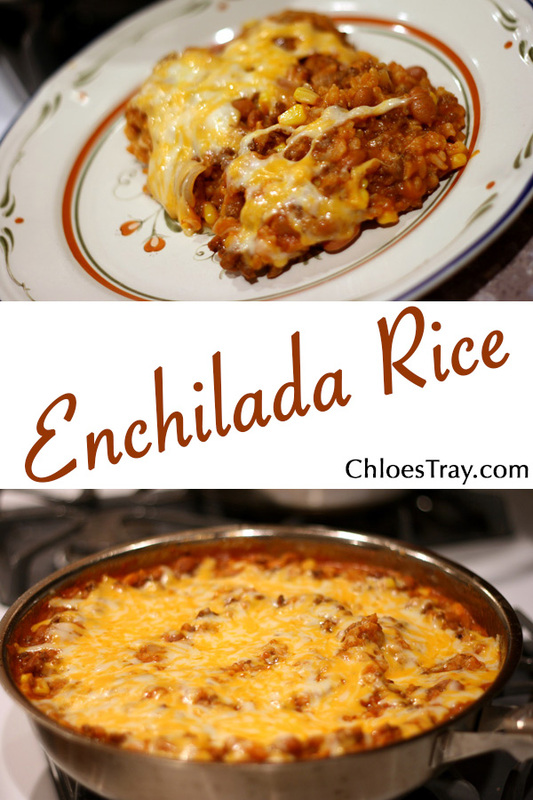 Enchilada Rice makes enchiladas so much easier! 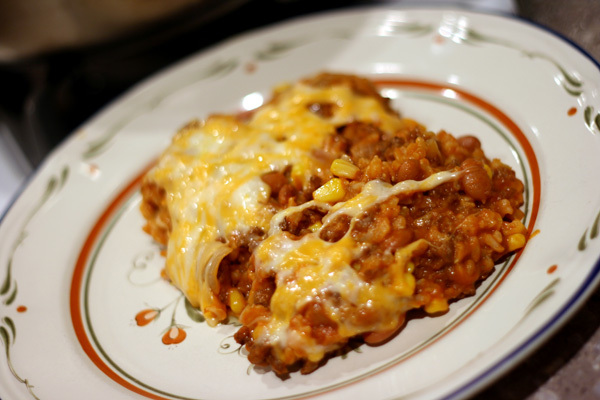 I’m not saying this is going to replace enchiladas completely, but this sure is amazing! 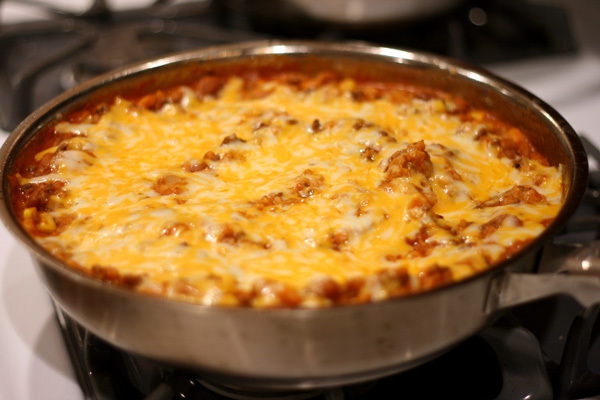 If you want to make your own enchilada sauce, check out my recipe for homemade enchilada sauce. Put rice in a large pot with 3 3/4 Cups water. Bring to a boil, reduce heat and simmer until rice is tender, about 45 minutes. Brown the beef in a large skillet over medium/high heat. Drain off all but 1-2 Tablespoons fat from the pan and reserve beef on a plate. Add onion to the pan, cooking until softened. Add the beef back to the skillet along with beans, corn, enchilada sauce, and rice. Season to taste with salt and pepper. Cook until heated through. Top with cheese and let melt before serving.